Controlled Airspace is a generic term that covers the different classifications of airspace (Class A, B, C, D and E), and defined dimensions within. Air traffic control service is provided to IFR flights and to VFR flights in accordance with the airspace classification. within areas of domestic radio navigational signal or Air Traffic Control (ATC) radar coverage, and within which domestic procedures are applied. Unless otherwise authorized, all persons must operate their aircraft under Instrument Flight Rules (IFR). 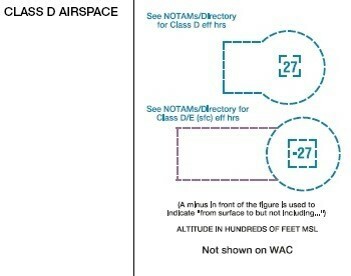 The configuration of each Class B airspace area is individually tailored and consists of a surface area and two or more layers (some Class B airspace areas resemble upside-down wedding cakes), and is designed to contain all published instrument procedures once an aircraft enters the airspace. While you may see the term IFR in this course, it’s understood that the majority of sUAS operators will be flying in fair weather within line of sight, therefore IFR wouldn’t apply in this case. An Air Traffic Control (ATC) clearance is required for all aircraft to operate in Class B Airspace, and all aircraft so cleared receive separation services within the airspace. The cloud clearance requirement for VFR operations is "clear of clouds". Arriving or transiting aircraft must obtain an ATC clearance prior to entering Class B airspace on the appropriate frequency and relation to geographical fixes shown on local Class B aeronautical charts. Departing aircraft require a clearance to depart Class B airspace and should advise clearance delivery of their intended altitude and route of flight. Unless otherwise authorized by ATC, aircraft must be equipped with an operable two-way radio capable of communicating with ATC on appropriate frequencies for that Class B airspace. Also unless otherwise authorized by ATC, the aircraft must be equipped with an operable radar beacon transponder with automatic altitude reporting equipment. There are a number of airports with Class B airspace where the pilot in command must hold at least a private pilot certificate to take off and land. At other Class B airports a student pilot or recreational pilot who seeks private pilot certification may take off and land if certain requirements are met. The student or recreational pilot must receive ground and flight instruction from an authorized instructor and receive an endorsement from that instructor stating the student or recreational pilot is proficient to conduct solo operations at the specific Class B Airport & Airspace. Remember, to fly within 5 nautical miles (NM) of an airport with a SUAS, you MUST coordinate with ATC, local tower first. Mode C Veil. A mode C transponder with altitude reporting is required within 30 nautical miles of a Class B airport from the surface to 10,000 feet MSL. An aircraft that was not originally certified with an engine driven electrical system, or has not been certified subsequently with a system installed, may conduct operations within a Mode C veil provided the aircraft remains outside Class A, B, or C airspace; and below the altitude of the ceiling of a Class B or Class C airspace area designated for an airport or 10,000 feet MSL, whichever is lower. 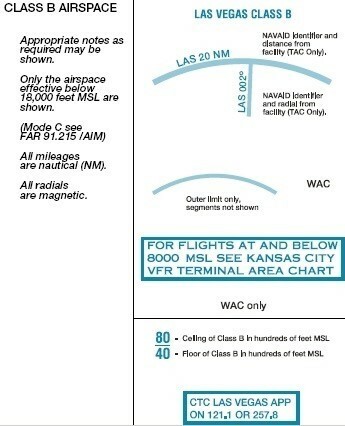 Although the configuration of each Class C airspace area is individually tailored, the airspace usually consists of a 5 NM radius core surface area that extends from the surface up to 4,000 feet above the airport elevation, and a 10 NM radius shelf area that extends no lower than 1,200 feet up to 4,000 feet above airport elevation. No specific pilot certification is required to operate in Class C airspace. A two-way radio, and unless otherwise authorized by ATC, an operable radar beacon transponder with automatic altitude reporting equipment is required unless operating an sUAS. If workload or traffic conditions prevent immediate provision of Class C services, the controller will inform the pilot to remain outside the Class C airspace until conditions permit the services to be provided. It is important to understand that if the controller responds to the initial radio call without using the aircraft call, radio communications have not been established and the pilot may not enter the Class C airspace. Class D Airspace. Class D airspace is generally that airspace from the surface to 2,500 above the airport elevation (charted in MSL) surrounding those airports that have an operational control tower. The configuration of each Class D airspace area is individually tailored and when instrument procedures are published, the airspace will normally be designated to contain the procedures. If the controller responds to a radio call with, "aircraft call sign, standby," radio communications have been established and the pilot can enter the Class D airspace. If workload or traffic conditions prevent immediate entry into Class D airspace, the controller will inform the pilot to remain outside the Class D airspace until conditions permit entry. Class E Airspace. Generally, if the airspace is not Class A, B, C, or D, and is controlled airspace, it is Class E airspace. There are no specific pilot certification or equipment requirements to operate in Class E airspace. This is the airspace which most SUAS/SUASs operate in even though they don’t take off and land at an airport. For pilots who take off and land at an airport, Special VFR operations are permitted, but clearance must be obtained from the controlling facility. 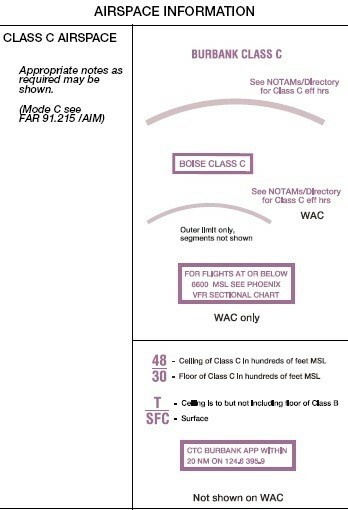 Class E airspace is depicted in blue or magenta on sectional charts and white on low altitude en route charts. This entry was posted in All Industries and tagged drone.